I finished it yesterday and I am still a little raw from the whole experience. It's kind of like how I still need a minute (or ten) after watching Rogue One to compose myself. I loved the book, I loved how you can see where the First Order gets it's beginnings. And I loved how it raised so many questions that need answers. Cause I am crazy like that. I *know! * exactly how you feel right now - it's the same with me in regards to The Woman Who Breathed Two Worlds ; you get so caught up in what your reading - it not only becomes a part of you, but it has this hold on you to where your not ready to 'let go'. Also - on a side note, I LOVE! audiobooks - so I might need to start seeing if my library has this series! Hi!!! 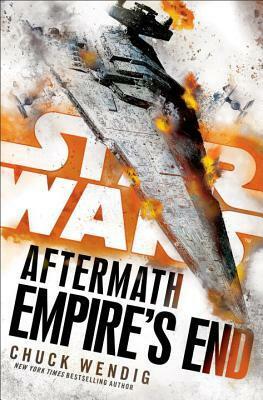 *waves* The Aftermath series is supposed to be a bridge between Lucas and Abrams in a way. I find it to be really more of it's own thing. I loved the audiobooks, which are a fairly new addiction for me. I tried to go back and actually read the first book after and I kind of hated it, even though I loved it as an audiobook. It felt so weird for me, I have never hated a Star Wars book before. I think it was just so well read that reading it myself did not have the same kind of feel. I may try it again now that I am finished the series if my friend will lend it to me again. I love your takeaways -- I will NOT read these, I'll seek out the audiobooks - your reaction to them sold me! #Blessed. Weather is such an interesting thing. Ours has been such a weird little nightmare as well, flooding and all sorts of random things. Not something I want to deal with at all. I think these Audiobooks spoiled me for any others that I listen to, now I am listen to another and I am just yeah I like the story but the narration is so blah. :( Still better than the version of Sherlock Holmes I have though, I keep that always downloaded for nights I have trouble falling asleep.